Available: 2,000 s.f. – 60,667 s.f. Join NEW Charter School, Forman Mills, Big Lots & Oceanside Gym. 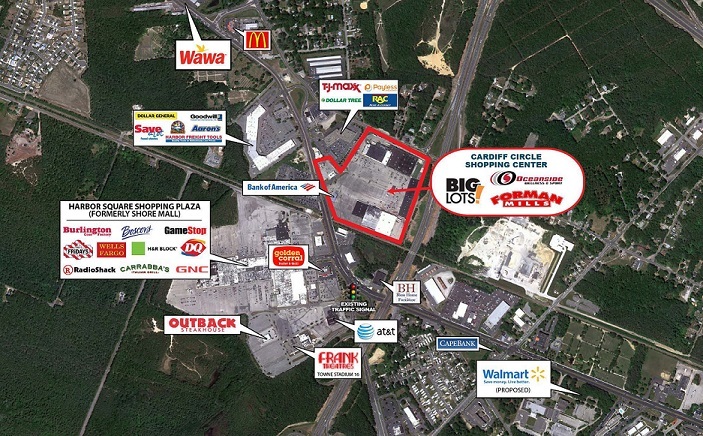 Across from Harbor Square Shopping Plaza, which includes tenants such as Burlington Coat Factory, T.G.I.Friday’s, Carraba’s Italian Grill, Boscov’s, GNC, Golden Corral, Outback Steakhouse, Frank Theatres, AT & T, GameStop, Radio Shack, H & R Block & Dairy Queen.